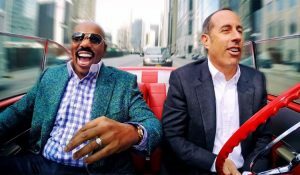 You know you’re in for a treat when it’s a talk show hosted by none than the comedy king Jerry Seinfeld. This show is authentic with no prior practiced scripts and is downright hilarious. It is on top of our best comedy shows list.